“Ski from Border to Border" is a guided ski tour (not a race!) from the Russian to the Swedish border. 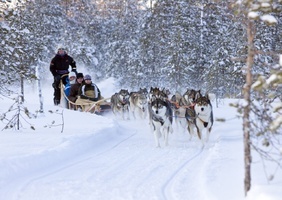 The route is 440 km long and goes near the Arctic Circle in Lapland. There are 7 days of skiing where distances vary between 44 - 78 km per day. The event is done in classic cross-country style (no skating) The participants come from all over the world but mostly from central Europe and North America. Skiers’ ages vary a lot, from 20 to 75 years, and so does their athletic background, skiing skills and experience. There are people who exercise regularly and are very committed to skiing, and others who are skiing just for fun, or even first time skiers. Year after year the same people come to admire the beautiful, un-spoiled nature and to share an unforgettable week of skiing together with other friends from different cultures. Day 1: Get-together day. 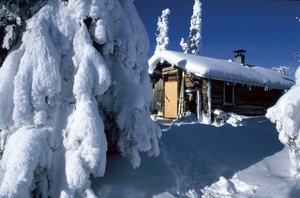 Lodging in Oivanki or Kuusamo. Day 2: Length of trip today is 63km. Lodging in Kuusamo. Day 3: Length of trip today is 72 km. Lodging in Taivalkoski. Day 4: Length of trip today is 55 km. Lodging in Pudasjarvi. Day 5: Length of trip today is 75 km. Lodging in Ranua. Day 6: Length of trip today is 44 km. 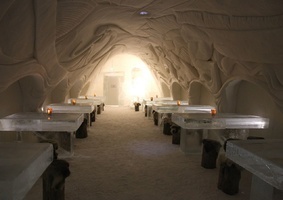 Lodging in Hosio and Ranua. Day 7: Length of trip today is 56 km. Lodging in Keminmaa. Day 8: Length of trip today is 76 km. Lodging in Tornio. Day 9: Trip ends - departures from Kemi. 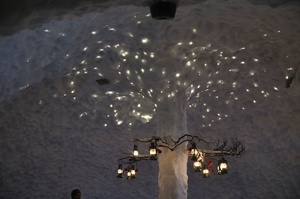 Thank you Susie for an exceptional skiing trip to Finland! You made sure everything was set up for me so I did not have to worry about any arrangements which meant that all I had to do was just spend my time enjoying everything! Once in Finland, the ski event was so well organized and they took such good care of us!!! You were so right when you said I would have a wonderful time. Thanks again! First-time participants will get a special wool skiing cap and a medal, both made for this particular skiing event. 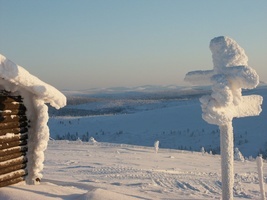 Kuusamo is the starting place for the skiing. The get-together day is the day before the skiing starts. 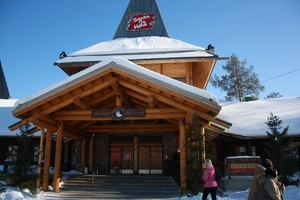 Meeting point in Kuusamo is the International camp and course centre of Oivanki. Our bus will follow the skiiers the whole week. It will carry all the extra equipment you don’t need when skiing. At least once a day during the skiing the bus will be available for the skiiers. 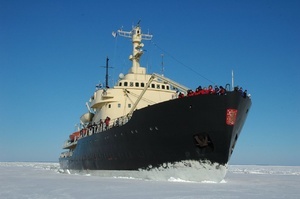 The return transportation will start from Tornio at 07.45 am. The bus route will be: Kemi railwaystation - Kemi airport - Oulu - Kuusamo. There are 2-7 service stations along the skiing route where you can drink and eat, so you don’t need to carry lots of snacks with you. There will be dinner, evening snack, breakfast and a snack table in the lodgings. Every lodging has a Finnish sauna. In Tornio, our final destination, you can enjoy sauna and swimming pool. The snowmobile will follow the last skiier within hearing. It is necessary that the skiiers use regular narrow skis, because the skiing track has been groomed from the starting point to the finish line. The bus willcarry your extra skis and ski-sticks. For the overnights a sleeping bag or a blanket is required. It is very important to have enough clothes, because the drying of the clothes can be a problem. At schools participants sleep on the floor on the provided mattresses. If you are planning to join the Birkebeiner Race in Norway after this event, call us for details and prices.